In the decades since, our mission has never changed. When we started Advantex, we had no idea that technology would evolve at such a pace. Back then, we were Cisco qualified infrastructure engineers delivering exceptional cabling services to our partners. Over time, we began to realise that not all companies had the same attention to detail or the desire to deliver services to the same high standard that we did. Whilst we went out of our way to become ISO:9001 accredited within our first year, many of our competitors left standards and accreditation behind. Many still do. It didn’t take long for partners to recognise this and before we knew it, we were being asked to supply additional services too. It was from this partner-driven need that our journey into a connector of all things IT, Communication & Security solutions truly began. Brothers Dave & Steve O'Connell were working for a data network company and decided to go it alone and start their own company. 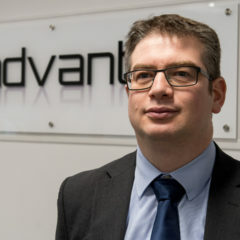 Advantex Network Solutions was formed as a limited liability company and Dave & Steve completed their Cisco CCNA course at Sunderland College. Advantex started trading with the two brothers carrying out all roles from marketing to finance……to emptying the bins. Advantex gained the coveted IS0 9001:2000 quality accreditation. Installed their first IP Surveillance solution for Cleveland Potash (now ICL) requiring IT Support staff to be employed. Driven by customer demand, Advantex started to branch into IT networks and support and quickly began partnering with schools and enterprises. Invested heavily in infrastructure and network development and started supplying direct Internet connectivity (including secure MPLS services). Started offering the Mitel IP Telecommunications portfolio of products to partners. The data centre offering was launched in Newcastle and Gateshead. Steve started his career as a Royal Marine Commando in 1992. He served in Northern Ireland, Zimbabwe, Norway, Montserrat and Kuwait. He specialised in Heavy Weapons and First Aid. In 1998, he joined Conex as Data Communications engineer and studied for his CCNA (Cisco Certified Network Associate) at Sunderland College. 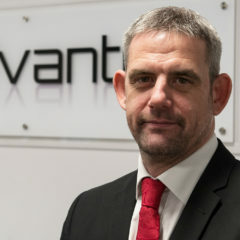 Following the completion of his CCNA in 2002, he formed Advantex with his brother Dave O'Connell and quickly fell into the role of Sales and Marketing Director, where his love for solving technology problems for partners directs his commercial vision for the business. Dave started his career as an electrician and in 1998 cross-trained into fibre optics and data cabling, gaining his CCNA in 2001. He founded Advantex with his brother Steve O'Connell the following year. It quickly became evident that Dave had a head for numbers and a knack for organisation and an Operations and Finance Director was born. 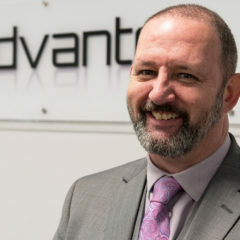 Dave was instrumental in achieving the ISO, NIC, NSI and H&S accreditations that run to this day, although these tasks are now managed by members of his team. Dave loves nothing more than being outdoors and has an active role as Group Scout Leader for 19th Durham Neville’s Cross Scout Group. Dave Sample is a dynamic and influential Technical leader with over two decades experience designing technology solutions. Celia graduated with a Masters degree in Mathematics from Durham University in 2005 before qualifying as a Chartered Accountant (CA) with the Institute of Chartered Accountants of Scotland (ICAS). 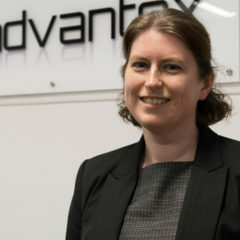 Following completion of her CA qualification in 2012, Celia took up a position at an accountancy practice in Durham before seizing the opportunity to head-up the finance team at Advantex. Since taking up the position of Finance Manager in 2015 Celia has enjoyed the challenges of the role. She is passionate about driving positive initiatives that continue to make Advantex a great place to work that delivers exceptional service to partners. Mick started his career as an electrician working across a number of heavy industrial plants in the chemical, manufacturing and energy sectors. His expertise soon led him to work on many high profile industrial projects including the Channel Tunnel and the Dublin Port Tunnel before he left the UK for Vietnam as the Electrical Supervisor on the Dai Ninh Hydro Power Tunnel. Following a stint in Singapore, he returned to the UK to join his brothers as a Project Manager and, just two years later, was appointed as Head of Operations. 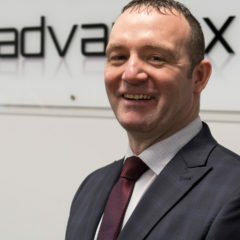 Mick's knowledge has been instrumental in driving Advantex's growth in the Manufacturing sector.